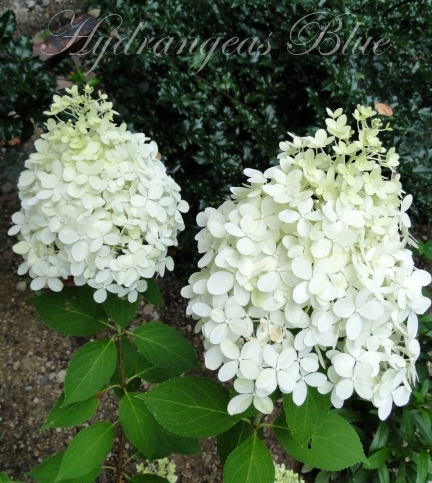 I’ve never grown the Limelight hydrangea nor been around any of the shrubs. I purchased two of this type bush in Spring this year and planted them in front of my house. Figuring that they would need this summer to grow good roots and become hardy, I didn’t expect flowers, so what a nice surprise to see them begin budding! Sure enough, more and more little round petals began to form and now both bushes are filled with the elongated, lacey looking flowers. I expect that as the flowers age they will become more green. I am very happy with these healthy looking plants. 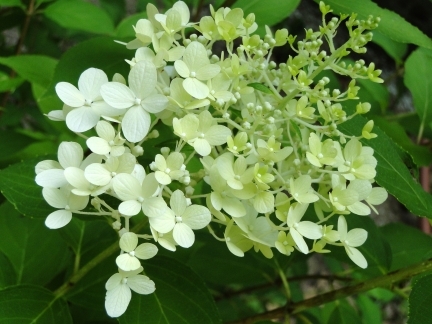 I highly recommend the Limelight hydrangea as a perennial planting for your yard.